Curbside flex zones can play many roles, from public space to loading zones. They could change use over the course of the year, week, or even the day. Before the peak of the morning rush, freight deliveries arrive to stock stores with their goods for the day. 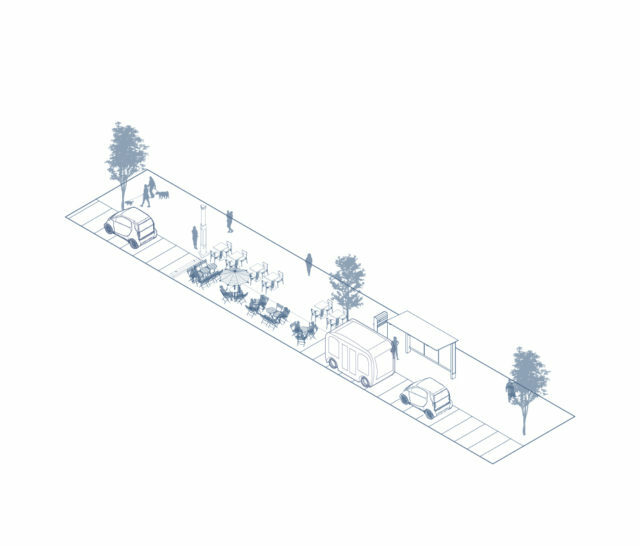 By 7:30, delivery vehicles give way to vehicles dropping off employees, many enjoying breakfast or coffee in a parklet on the way into work. Late morning brings some deliveries of packages and mail to businesses and residents. At noon, the lunch rush begins bringing many people to street vendors to enjoy their mid-day meal. By 2:00, most diners are back inside and light delivery activity continues until the evening rush. The evening rush stops delivery activity as street and vehicle capacity is shifted to move people instead of goods. Passenger movement continues into the evening as people grab dinner or drinks, pick up children, or head to evening events. 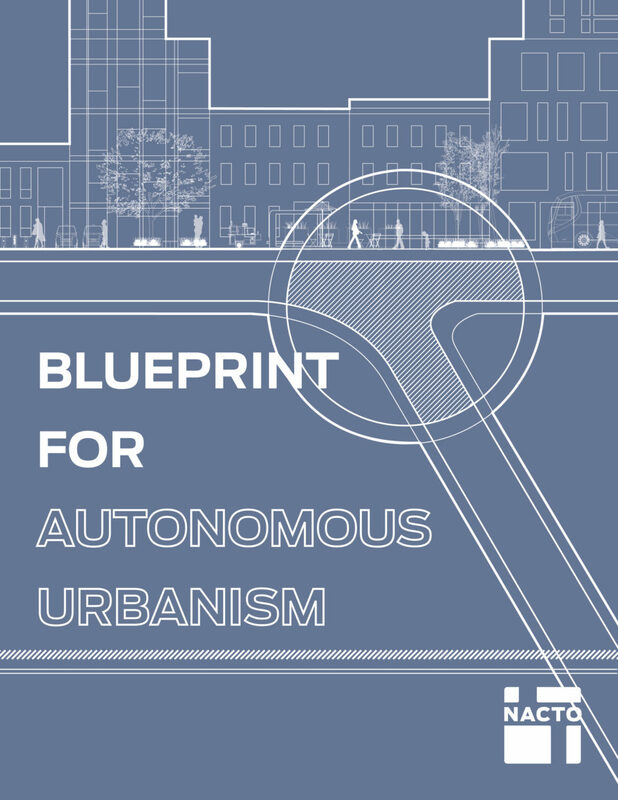 Automated evening and late-night delivery activity allows for easy movement of large goods on underutilized streets. Late at night the curb prioritizes freight vehicles. Passenger movement is at a minimum through the early hours of the morning, leaving more space for increased delivery services in cities. Delivery ease is increased through the use of nearby storage lockers. In the morning, freight makes way for transit vehicles.